From the James Beard Award-winning, much-loved cookbook author and authority: an around-the-world collection of recipes from the global Jewish diaspora--an essential book of cooking and culture. Driven by a passion for discovery, King Solomon is said to have sent ships to all corners of the ancient world, initiating a mass cross-pollination of culinary cultures that continues to bear fruit today. With King Solomon's appetites and explorations in mind, here celebrated author Joan Nathan gathers more than 170 recipes that span the millennia: from classics like Yemenite Chicken Soup with Dill, Cilantro, and Parsley; Spinach and Feta Bourekas; Hummus with Preserved Lemon and Cumin; and Hamantaschen with Poppy Seed or Chocolate Filling...to contemporary riffs on traditional dishes such as Smokey Shakshuka with Tomatoes, Peppers, and Eggplant; Homemade Herbed Labneh with Beets and Puy Lentils; Baghdadi Chicken with Rice, Coconut, and Cilantro; and Roman Ricotta Cheese Torte. We travel with Joan from India to France, from Italy to Mexico, from El Salvador to Israel and, of course, all across North America, in a gorgeously illustrated culinary exploration that is filled with fascinating historical details, personal histories, and fantastic recipes that showcase the diversity of Jewish cuisine. It is the most ambitious and satisfying book of Joan Nathan's stellar, four decades-long career. 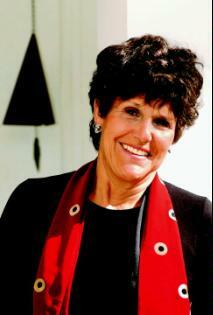 Joan Nathan is the author of ten cookbooks and a regular contributor to The New York Times and Tablet Magazine. She is the author of the much-acclaimed Jewish Cooking in America, which in 1994 won both the James Beard Award and the IACP/Julia Child Cookbook of the Year Award; as well asThe New American Cooking which also won the James Beard and IACP Awards as best American cookbook published in 2005. Her most recent book is Quiches, Kugels, and Couscous: My Search for Jewish Cooking in France. Her other books include Foods of Israel Today, Joan Nathan's Jewish Holiday Cookbook, The Jewish Holiday Baker, The Children's Jewish Holiday Kitchen, and The Flavor of Jerusalem. In 2004 Ms. Nathan was the Guest Curator of Food Culture USA, the 2005 Smithsonian Folklife Festival on the National Mall in Washington, DC, based on the research for her book, The New American Cooking. Ms. Nathan's PBS television series, Jewish Cooking in America with Joan Nathan, was nominated in 2000 for the James Beard Award for Best National Television Food Show. She was also senior producer of Passover: Traditions of Freedom, an award-winning documentary sponsored by Maryland Public Television. Ms. Nathan has appeared as a guest on numerous radio and television programs including the Today show, Good Morning, America, and National Public Radio. An inductee to the James Beard Foundation's Who's Who in American Food and Beverage, she has also received the Silver Spoon Award from Food Arts magazine. In addition, Ms. Nathan received an honorary degree from the Spertus Institute of Jewish Culture in Chicago and the Golda Award from the American Jewish Congress. Joan Nathan was born in Providence, Rhode Island. She graduated from the University of Michigan with a master's degree in French literature and earned a master's in public administration from Harvard University. For three years she lived in Israel where she worked for Mayor Teddy Kollek of Jerusalem. In 1974, working for Mayor Abraham Beame in New York, she co-founded the Ninth Avenue Food Festival. The mother of three grown children, Ms. Nathan lives in Washington, D.C. and Martha's Vineyard with her husband, attorney Allan Gerson.